The Apple Wassail is a traditional form of wassailing that was practiced in the cider orchards of southern England during the winter months. Groups of young men would go between orchards performing a rite for a reward – a practice sometimes referred to as “howling”. This consisted of everyone making as much noise as possible to scare away any evil spirits from the orchard. Drums, tambourines, pots and pans and all other manner of noisy equipment were used. The first recorded mention of this was at Fordwich, Kent way back in 1585. On Twelfth Night, men took their wassail bowl into the orchard and went about the trees. Slices of bread or toast were laid at the roots, and sometimes tied to branches, and cider was poured over the tree roots to “wassail” them. Wassail means “be of good health”. 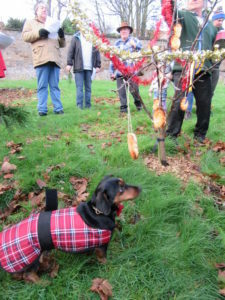 The wassail ceremony is to “bless” the trees to produce a good crop in the forthcoming season. 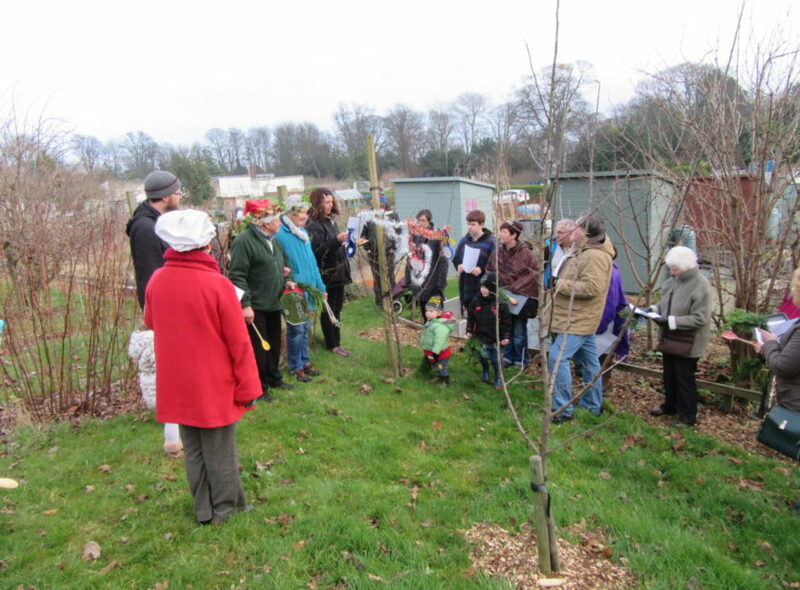 We will be having our very own Apple Wassailing event at our orchard in Ravenscraig Walled Garden on Saturday 19th January, 1.30pm – 3.30pm. Join us for some traditional stories of wassailing, learn some songs to sing to our trees and listen to poems that have been written about apple trees. There will be a lot of noise and a lot of fun! There is no need to book, we look forward to seeing you there.